District at Biltmore offers brand new, Phoenix luxury apartments in the Biltmore neighborhood. Our one- and two-bedroom floor plans feature premium quartz countertops, stainless steel appliances and custom cabinetry. 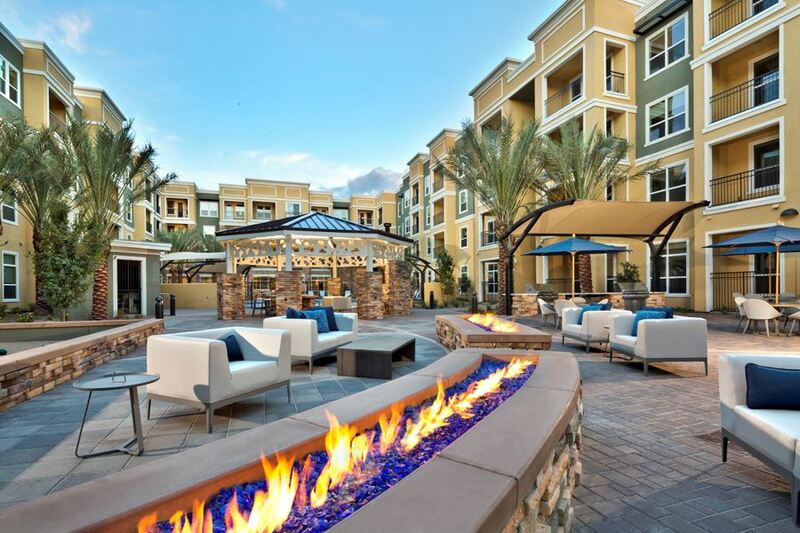 District at Biltmore Apartments is a smoke-free community offering endless outdoor entertainment including a resort-style pool, rooftop lounge and garden courtyard. Our convenient location in the Camelback Corridor is near Biltmore Fashion Park, Charles Schwab and CBRE. It really depends for me on whether the person is going to take advantage of the amenities. Lovely building, I dont use the amenities. Overall this place is comfortable and quiet. My main complaints are the trash pickup is loud and several times a week early in the morning (4-6 am) and the parking garage. People speed through the garage without a care. I wouldnÃ¢ÂÂt be surprised if accidents havenÃ¢ÂÂt already occurred. Cheap construction! I hear neighbors constantly. Hall way noise is very loud. Trash pick up is quite laughable. Parking is terrrrrrrrrible..I canÂt have anyone visit because there is no place to park. Based on the noise alone, I cannot stamp my referral to friends or family that they would be comfortable here. Pricing could be more competitive. The apartment has all of the right touches for what I am looking for in a community. The amenities are fantastic and the community in friendly, quiet, and peaceful. The apartment is well run, safe and everything pretty much works. I think that overall, this place is great. Personnel are awesome. I just wish the walls were a bit thicker, or that people would be more considerate since noise travels easily in these apartments. I have almost no complaints about living here. My only complaints would be the very limited parking for guests, but I understand that's the reality at most apartment complexes. My other complaint is that I pay the same amount for trash service as those that live in 2 bedrooms with multiple people; it just doesn't seem fair considering I only have to put out my trash like once a week whereas some people have trash that needs picked up much more often. Other than that, there's really nothing I don't like about living here. Cheap design materials and poor construction. The property appears to have been built in a rush. Doors have gaps, you can fully and completely hear conversation of people in their homes while just walking down the hall. The sound or insulation must not have required city inspection. I would recommend this community due to a number of things. First the professionalism of the office staff. Ali was great to work with. The apartment had everything I was looking for. It has a dog run which was important to me. The amenities are plentiful and useful. Love the multiple gas grills for community use.